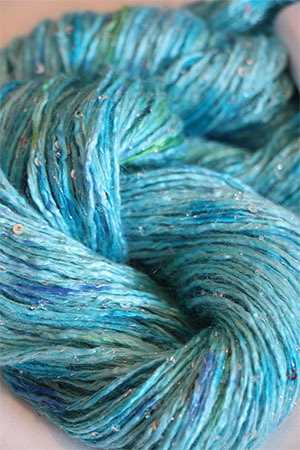 The first in the brand new Artyarns Cosmic Colors - CC1 is a fabulous splatter paint mix of blues with a teensy weensy bit of bright green. (reg $96) We carry this yarn in very limited quantites - we are happy to special order this yarn for you - there is a 2 skein minimum. The cowl you never take off is a 1 or 2 skein project.